The Australian Digital Transformation Agency plan to improve the Australia Government's writing style manual. Great. Can I help? I'll be your most demanding user. I'm technical, have no writing training and won't want to read the manual. And yet, this manual should be written for me. Why? Because people like me write policies, code, manuals, business cases, standards, designs, requirements, tutorials. We write for government, industry, open source and international organisations. 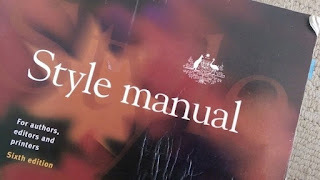 Please avoid the temptation to create an Australian specific Style Manual. The inevitable inefficiencies caused by integrating local and international style variants will be painful. Draw inspiration from the Creative Commons licenses. They are internationally recognised, widely used and widely understood. Collaboration mitigates against being out-innovated, as in the digital economy, collaboration out competes competition. There are more smart people in the rest of the world, thinking about your problem, than can ever be mustered in your own team. As a last resort, create your own. Evangelise; encourage other nations to adopt the manual. Like language, the manual becomes more valuable as more people use it. Use collaborative tools and methodologies to engage communities and evolve material. Let's make the style manual extensible, to support domain specific requirements and individual flair. For instance, the international manual will need to support toggling between American and British spelling, and agencies will want to add domain specific acronyms. People will continue innovating. Establish a sustainable project, owned by multiple stakeholders, with periodic release cycles, which will last beyond your current funding cycle. This was published by The Mandarin.